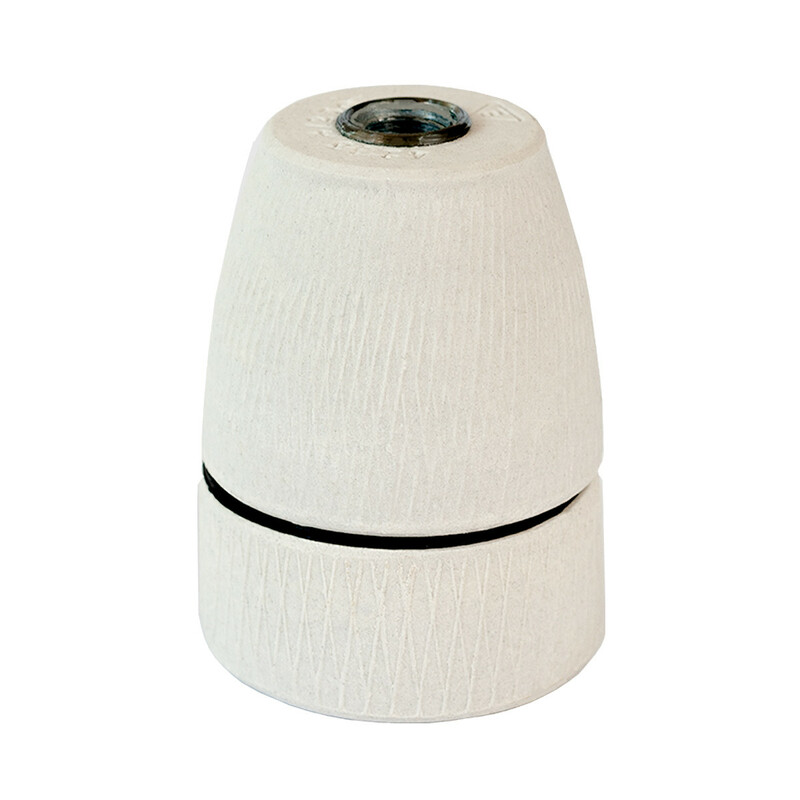 Porcelain lamp holder E27 with a matte and slightly patterned outer surface. Compatible with two-core cables. Three-parted.